Before checking out different makes and models, drivers need to make one fundamental decision: SUV vs. sedan. These are two of the most popular body types on the road, but they differ in terms of space, efficiency, and versatility. With that in mind, we’ve put together a quick list of the benefits that come with each choice. 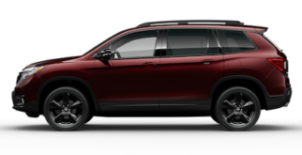 SUVs like theHonda Pilot,Honda CR-V, andHonda HR-V have exploded in popularity during the last few years, and you’ll understand why after exploring their benefits. Space: Whether you’re taking the whole family from Naperville to Aurora or loading up on cargo in Bolingbrook, you’ll find substantially more space in an SUV. That means more room to stretch out and relax and more space for storage. Capability: A few sedans are available with all-wheel drive, but the option of a strong AWD system is a prerequisite for most SUVs. If you’re likely to experience less-than-perfect weather, an SUV might make sense. Ride–Height: Even smaller SUVs put you higher above the road than a sedan. That means enjoying superior outward visibility, and it’s always nice to be riding higher than other drivers. Sedans have been popular with American drivers for decades, and models like theHonda Accord andHonda Civic still hold their own against SUVs. Here are just a few reasons why. Fuel Economy: Most sedans are available with an entry-level four-cylinder or an available V6. Whichever you choose, expect to make better fuel economy ratings than you would in an SUV. Drivability: Sedans aren’t as large as SUVs. Some people might see that as a disadvantage, but keep in mind that smaller vehicles are easier to maneuver and park. Budget: In general, sedans aren’t as expensive as SUVs, so you can either save some money or put it towards a higher trim level with the latest features. 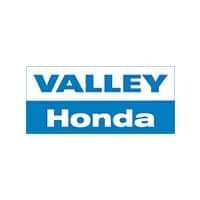 Whether you’re looking for a three-row SUV like the Honda Pilot or a compact sedan like the Honda Civic, simply visit Valley Honda today for advice and assistance.